Texas Workforce Hearing preparations can save your business and make you a better business. Franklin was right. Photo by Paul Hudson. 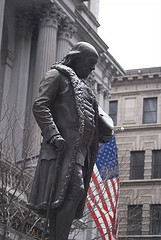 In 1789, Benjamin Franklin said in a letter that there are only two things you can be certain of death and taxes. He was certainly right about the taxes. Especially sales tax. We are hearing from clients and accountant colleagues about the increase in sales tax audits. These are turning out not to be friendly, let’s talk audits but somewhat nasty, prove you’re innocent audits where the assumption is that your business is not paying what it should.